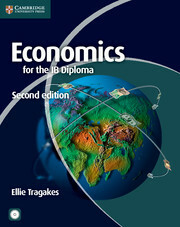 A comprehensive new edition of Economics for the IB Diploma. 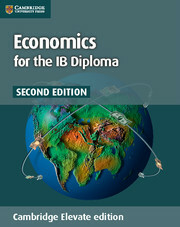 This lively Coursebook offers comprehensive coverage of the Economics syllabus for the IB Diploma at both Standard and Higher Levels. The new edition has been extensively revised to meet the requirements of the new syllabus (effective 2011). Written by a highly experienced author and developed in association with teachers, Economics for the IB Diploma provides an international perspective and in-depth coverage of all four sections of the syllabus. Designed for class use and independent study, it presupposes no background knowledge and offers clear explanations of economic concepts using accessible language. Integrated cross-references to the syllabus learning outcomes. Questions throughout each chapter to provoke discussion and test students' understanding. 'Real World Focus' international case studies to bring economic theories to life. Links to Theory of Knowledge concepts alongside appropriate topics to stimulate thought and discussion. A glossary of all syllabus terms and concepts. Student CD-ROM providing high quality supplementary materials including extensive exam practice for Papers 1, 2 and 3 and key diagrams to aid revision. A great match for teaching AS and A Level. Download a chart that shows the correlation between Economics for the IB Diploma and the A Level Economics syllabi from AQA, Edexcel, and OCR. Ellie Tragakes teaches in the Economics department at DEREE - The American College of Greece. She has worked in a variety of organisations including the World Bank and World Health Organization, and has a large number of professional publications. She served as an Economics Chief Examiner from 2007-2009 and was a member of the curriculum review committee from 2007-2010.